I was flipping through a Baby & Child Restoration Hardware catalog this weekend and found a few items for anyone designing a travel-themed nursery: a vintage passport stamp duvet cover and a globe ottoman. 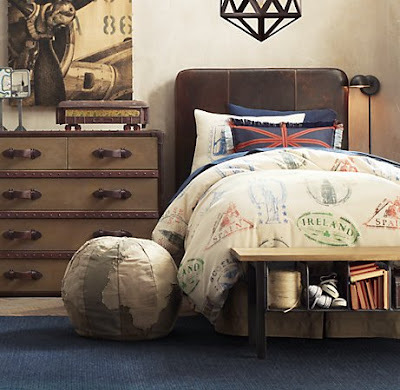 The globe ottoman is a little too brown for our travel nursery, but if the kid still likes the travel theme when he's in a big-boy bed, we might have to pick up that passport stamp cover. I didn't know Restoration Hardware had baby and child things. I'll have to check it out. I like this so much better than I do the usual "cutesy" kids' stuff. I didn't either till I grabbed a catalog while walking out of the store. 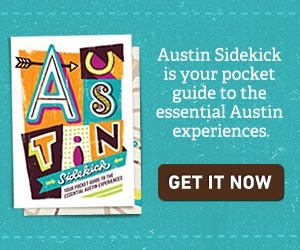 It's a totally different catalog and website. do you get the things in this picture at restoration hardware? like the beddimg, and the globe seat? Yes, both the bedding and globe ottoman are from Restoration Hardware.